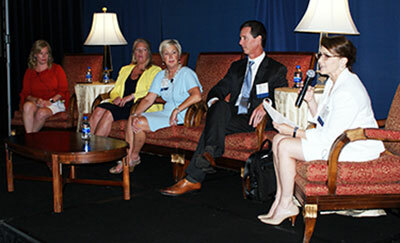 Over 120 financial professionals gathered this Wednesday, August 15th at Dover Downs for the second Women Connect event of the year. The gathering enjoyed a spirited and inspirational address from Congresswoman Lisa Blunt Rochester. Next was an insightful conversation on integrating work/life issues with moderator Joe Westcott, Capital One; Anne Eidschun, Griswold Home Care; Catherine Willey, Bank of America; Grace Stockley, Depository Trust Company of Delaware; and, Katya Nieburg-Wheeler, Barclays. The final session featured a legislative roundtable moderated by Martha O'Malley, Comenity Bank, and featured Senator Nicole Poore; Rep. Helene Keeley; Rep. Ruth Briggs King; and State Treasurer Ken Simpler. Thank you to all sponsors including Gold Sponsor: Wilmington Trust; Silver Sponsors: The Bryn Mawr Trust Company of Delaware; Capital One; Charles Schwab Trust Company of Delaware; and, The Delaware Society of Certified Public Accounts. Mark your calendars now for the next Women Connect event, November 8th and 9th, in Lewes, Delaware! Shore United Bank, a member of Shore Bancshares community of companies, is proud to recognize Brenda Wooden for her 30 years of dedicated service. Ms. Wooden began her career in 1988 as a bookkeeper for The Talbot Bank and has held various other positions as a customer service representative, assistant branch manager and branch manager. Currently, Ms. Wooden is an Assistant Vice President, Floating Manager offering assistance to branches who need additional support. 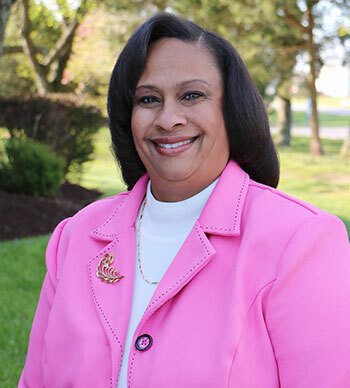 With the goal to continue her education, Brenda is a graduate of Maryland Bankers School in 2005 and Shore Leadership in 2014. “Brenda is a great role model to our team. Her knowledge of the systems, processes and procedures combined with the passion to serve her coworkers and customers is remarkable. 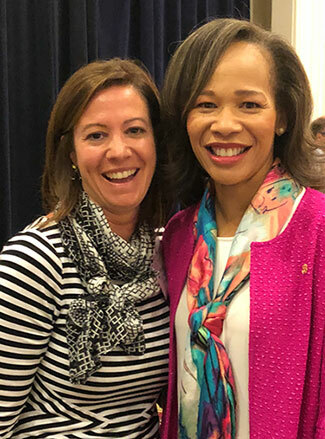 Brenda encourages and inspires the best from everyone.” says Jennifer Joseph, Chief Retail Banking Officer of Shore United Bank. FDIC Directors' College - September 28th - Lewes Delaware! The FDIC Directors’ College is an interactive program that provides ongoing education on current topics of bank supervision to bank directors, senior officers, corporate secretaries, and board advisors. The course is designed to help directors and trustees, both new and experienced, stay abreast of the ever-changing regulatory environment. Sessions include: Emgering Credit Risk; BSA/AML; a Case Study on Strategic Decisions and the Effect on CRA; and, more! Click on the link below for full agenda and registration information. 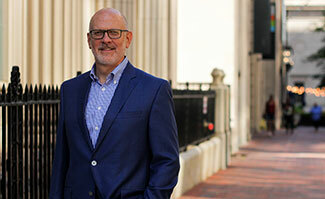 Cinnaire, a non-profit Community Development Financial Institution (CDFI) that provides creative loans, investments and development services to support community development, recently announced Jim Peffley has been appointed Chief Strategy Officer. In this position, Peffley is responsible for developing and managing Cinnaire's strategic vision and ensuring the organization is prepared to achieve that vision in the near and long term. In addition, he is responsible for a newly created New Ventures & Product Management team, Customer Engagement, real estate development and strategic communications. Peffley assumes the CSO role at Cinnaire as Jim Logue, former CSO, shifts to focus on public policy issues as Chief Public Policy Officer. Logue will also continue to provide ongoing support to the executive leadership team. Weiner Benefits Group, a Wilmington-based employee benefits firm is proud to announce the addition of Kathleen Funsten to their staff. 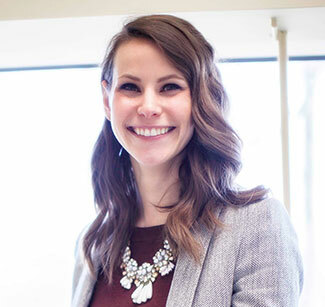 Kathleen will serve as an Account Manager and will be assisting clients by adding another layer of service and expertise along with face to face personal attention. Kathleen is a graduate of James Madison University and went on to earn her Master of Science from Saint Joseph’s University. Kathleen brings with her over 7 years of experience in the insurance industry. Fifty-seven Richards, Layton & Finger attorneys have been named in the 2019 Best Lawyers in America, and the firm is ranked first in Delaware in eight practice areas: Appellate Practice, Business Organizations (including LLCs and Partnerships), Commercial Litigation, Corporate Law, Corporate Governance Law, Mergers and Acquisitions Law, Securitization and Structured Finance Law, and Tax Law. In addition, five firm attorneys—Fred Cottrell (Patent Law), Jennifer Jauffret (Labor and Employment Litigation), Bernard Kelley (Business Organizations, including LLCs and Partnerships), Jeffrey Moyer (Copyright Law), and Stanford Stevenson III (Tax Law)—have been selected as 2019 Wilmington, Delaware Lawyers of the Year, an award presented to one outstanding lawyer in each practice area in a designated metropolitan area. Young Conaway Stargatt & Taylor, LLP is pleased to announce that 42 attorneys were identified by their peers for inclusion in the 2019 edition of The Best Lawyers in America®. Four of our attorneys also received Lawyer of the Year Awards (Wilmington, DE). Only one attorney is recognized as the "Lawyer of the Year" for each specialty and location. Young Conaway's Lawyers of the Year include: Robert S. Brady: Bankruptcy and Creditor Debtor Rights / Insolvency and Reorganization Law Timothy E. Lengkeek: Personal Injury Litigation - Plaintiffs Cassandra F. Roberts: Workers' Compensation Law John E. Tracey: Land Use and Zoning Law. Thirteen lawyers from Connolly Gallagher LLP were selected for inclusion in the 2019 edition of The Best Lawyers in America®. The results are based on peer-review evaluations from more than 79,000 eligible attorneys. Partners, Max B. Walton, Scott E. Swenson and Trisha W. Hall earned the “Lawyer of the Year” designation (noted with an asterisk below). This recognition is awarded to the individual attorney with the highest overall peer-feedback for a specific location and practice area. 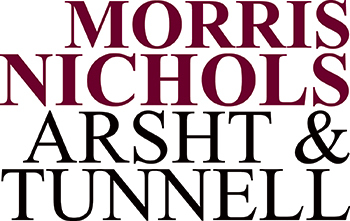 Thirty-three attorneys from Morris, Nichols, Arsht & Tunnell LLP were selected for inclusion in the 2019 edition of The Best Lawyers in America®. The results are based on peer-review evaluations from more than 87,000 eligible attorneys. Three firm attorneys - William M. Lafferty; Donald F. Parsons, Jr; and, Patricia O. Vella - earned “Lawyer of the Year” designations. This recognition is awarded to the individual attorney with the highest overall peer-feedback for a specific location and practice area. Thirty Morris James attorneys in thirty-two practice areas were selected by their peers for inclusion in The Best Lawyers in America© 2019 edition. Additionally, three of those attorneys were named “Lawyer of the Year” for their respective practices, including David H. Williams for Education Law, Employment Law – Management, and Litigation – Labor and Employment, Richard Galperin for Healthcare Law, Medical Malpractice - Defendants, and Personal Injury Litigation – Defendants, and John M. Bloxom, IV for Real Estate. Thirty Potter Anderson attorneys have been included in the 2019 edition of The Best Lawyers in America. Best Lawyers has recognized six of the firm’s attorneys as 2019 “Lawyer of the Year” in the Wilmington, Delaware area - Josh Martin; Mark Morton; Matt O'Toole; Chip Price; Wendy Voss; and, Pete Walsh - more than any other Delaware law firm. For more information on DBA programs and events visit www.debankers.com or click on the logo at right to redirect to our website.